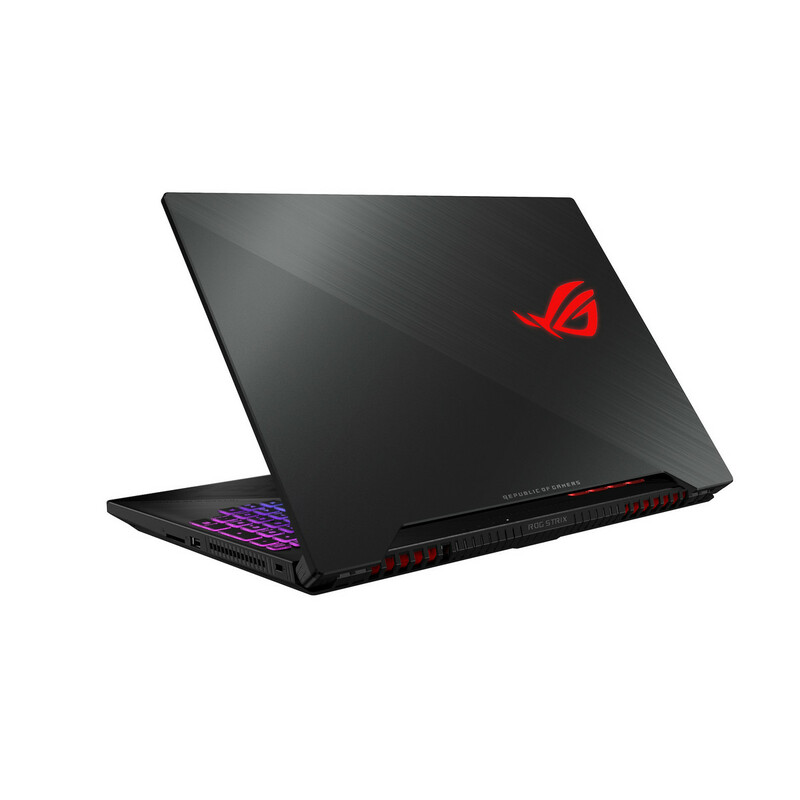 As previously rumored, Asus now has a proper competitor to the MSI GS65 with its ROG GL504 series. The 15.6-inch laptop offers 144 Hz IPS panels, 3 ms gray-to-gray response times, and quad-antenna ROG RangeBoost technology for the first time in a laptop that promises 30 percent wider WiFi coverage than dual-antenna configurations. The GL504 launches next quarter for 1550 Euros. 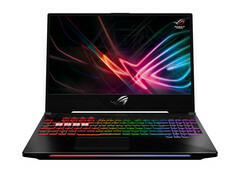 MSI, Gigabyte, and Razer each offer thin-bezel gaming laptops with the GS65, Aero 15X v8, and upcoming Razer Blade 15. Even the Dell XPS 15 9570 can be considered a mainstream gaming system with its GTX 1050 Ti graphics. It was inevitable before Asus would begin shipping its own thin-bezel solution as well. Called the Hero II and Scar II, these 15.6-inch thin-bezel laptops are similar to one another in chassis design with 144 Hz/3 ms panels, Intel 8th gen Core i7-8750H CPUs, up to 32 GB of 2666 MHz DDR4 RAM, and a 512 GB NVMe SSD. They are just 2.33 cm thick and 2.4 kg heavy compared to the original Hero and Scar laptops. The main difference between the Hero II and Scar II will be the GPU as the former and latter will be equipped with the GTX 1060 and GTX 1070, respectively. 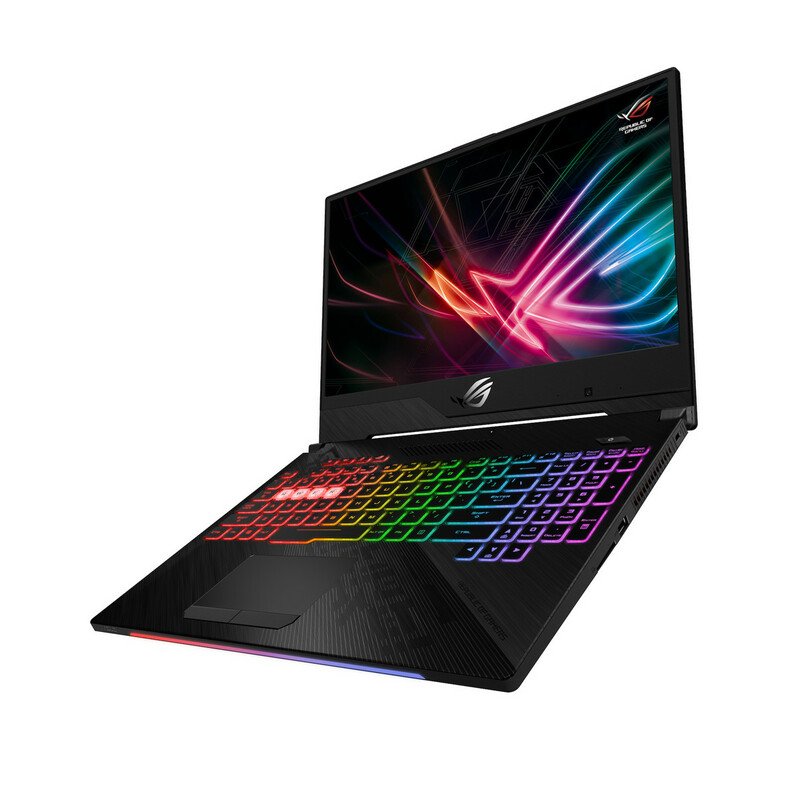 To cool the demanding components, the manufacturer is boasting its "proprietary HyperCool Pro technology" that consists of radiators and metal heat spreaders over the CPU, GPU, VRAM, and VRMs to keep core components below 90 C at all times. 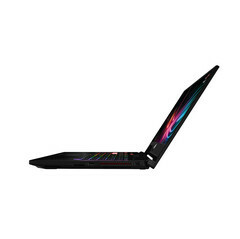 Perhaps more notably, the Scar II will carry additional heat pipes to cool its more powerful GTX 1070 GPU and it will likely weigh a bit more than the Hero II as a result. Asus is also claiming that the two laptops will be the world's first gaming notebooks with four antenna - two near the front and an additional two near the back - to boost reliability and avoid potential blind spots. The Republic of Gamers Scar II and Hero II will launch in Q3 2018 for a starting price of 1550 Euros.